How Can I Obtain a Green Card Through Employment? 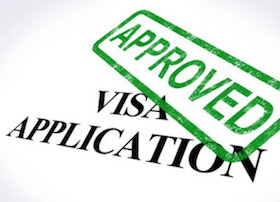 Q: What is the Application Process for a Foreign Employee to Obtain a Green Card? 1. First Preference (EB-1) The EB-1 category includes what the United States government refers to, as Priority Workers 28.6% of the worldwide visas are available to this category, plus any unused visas under the EB-4 and EB-5 categories below. Individuals are required to prove that they intend to pursue work in the United States in their specific field of expertise. The EB-1-2 subcategory includes professors and researchers that are internationally recognized as outstanding in their area of academics. The EB-1-3 subcategory includes managers and executives of multinational companies that have been employed abroad for an affiliate, branch, parent, or subsidiary of the U.S. entity for at least one of the past three years. The EB-2 category includes members of professions who hold an advanced degree, aliens of exceptional ability in their field, and national interest waiver cases involving persons to be employed in positions that hold intrinsic merit and that will benefit the country. The EB-3 category is the most common category and it encompasses the largest number of foreign nationals. Included in this category are skilled workers, professionals, and other workers. Typically, unskilled workers up to professionals holding a bachelor’s degree will be included in this category. 28.6% of worldwide visas are available to this category, plus unused visas from the EB-1 and EB-2 categories. The EB-4 category is for Special Immigrants, including religious workers and ministers, certain former government employees, and specific categories of other aliens. 7.1% of worldwide visas are available to this category with a 5,000 limit on religious workers and ministers. The EB-5 category is for Employment Creation visas, or investor.